We’re the Hub for the Studies of British Identities. The Hub is run by staff and students from the University of the Highlands and Islands in Scotland – find out more about our university here: www.uhi.ac.uk. We also run the interdisciplinary masters course MLitt British Studies, which can be studied from anywhere in the world. More information here: http://www.uhi.ac.uk/en/courses/mlitt-british-studies. The Hub brings together academics, students and the public with an interest in British identities. In our blog we share our research, network with colleagues across the globe, and let our students take the lead. On our twitter account we debate, discuss and share our thoughts on British identities. In our online, free, peer-reviewed journal we read, reflect and disseminate our research. And in our events we bring people together – physically and through video-conferencing. 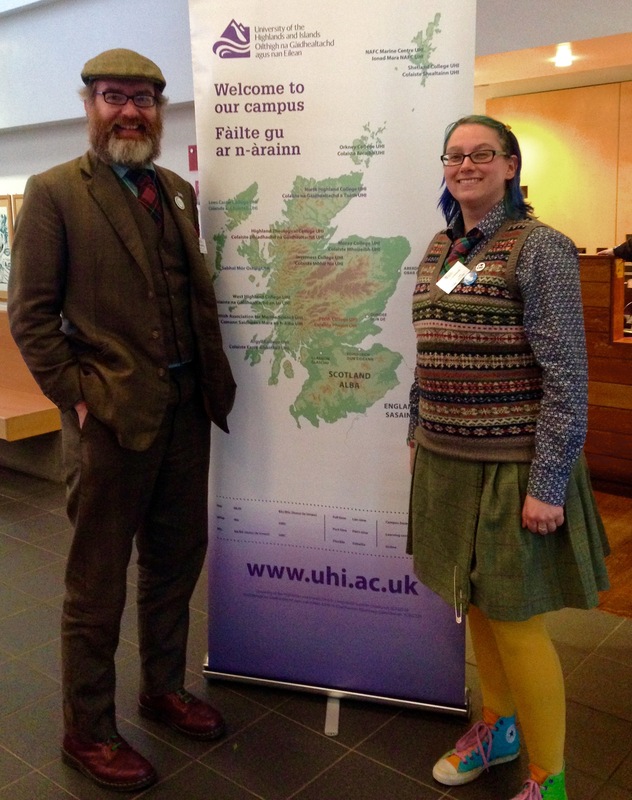 The Hub was founded by Dr Jim MacPherson (Programme Leader MLitt British Studies) and Dr Kristin Lindfield-Ott (Programme Leader BA (Hons) Literature). Here we are, with a map of our campus.